Hamilton May is pleased to present a unique, modernist villa overlooking a park, located in the historic part of Old Ochota. Hamilton May presents a beautiful, unique house located in a gated, discreet settlement. Hamilton May presents a representative villa available for sale in Konstancin, on a beautiful plot with trees and greenery. The house is ideal for larger families. This unique property of 20 hectares is an interesting offer for those looking for a plot suitable for the construction of a mansion, removed from the urban fuss. 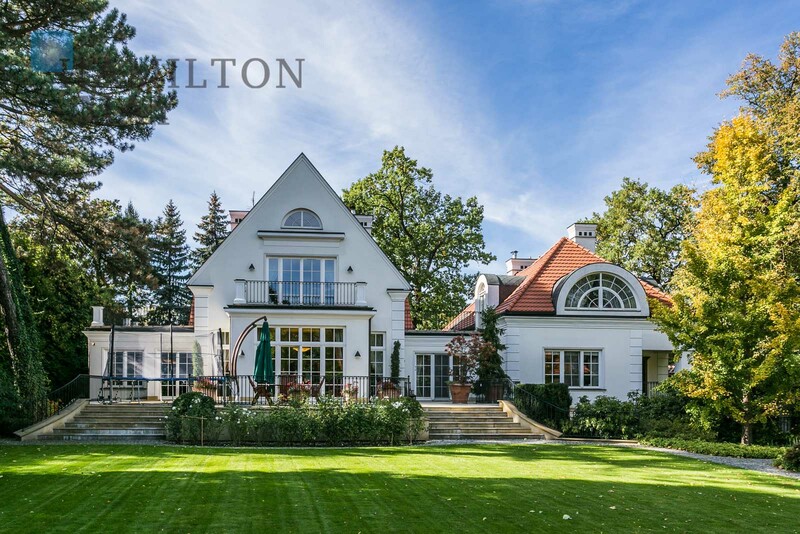 Hamilton May presents a beautiful villa located in Old Bielany, approximately 5 minutes from the Polish - French kindergarten in Żoliborz. The property is ideal for a family with kids. Hamilton May is pleased to present a luxurious villa located in the recreational area of Konstancin. As Poland's capital city, Warsaw is adorned with many exclusive housing neighbourhoods with good commuter access to the city centre. Hamilton May focuses on the sale of luxury houses and mansions in these regions typically to the South of the city, including Mokotow, Konstancin-Jeziorna, Wilanow, Ursynow, Saska Kępa. Characteristically luxury houses and mansions in Warsaw are of varying styles as many of the homes are built not by developers, but more often by Polish owners on their own plots and for private use. Typical styles include modernist villa type properties, typical new build mansions, and a selection of renovated traditional houses. As a result, the sales market is relatively inconsistent with expectations of sellers varying greatly. Hamilton May offers professional real estate services with a team of qualified agents working specifically in sales of luxury houses and mansions in Warsaw. We invite you to contact us to find out more about our services if you are either looking to buy an exclusive house in Warsaw or alternatively if you require a professional agency to represent you in selling your property.